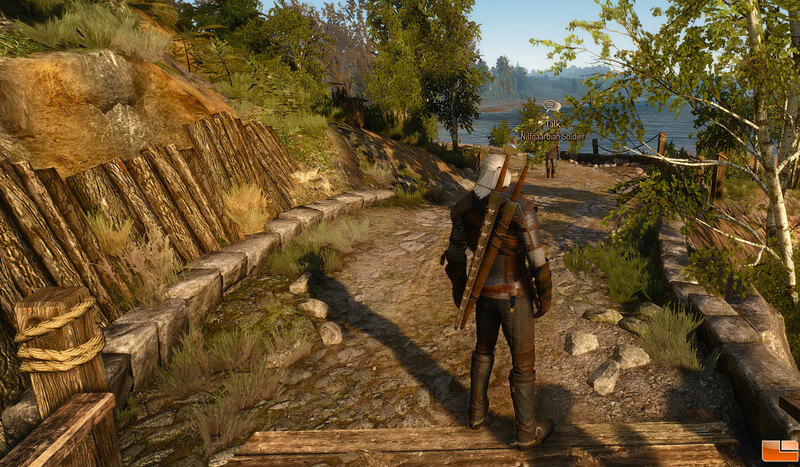 Released in May 2015, the Witcher 3 is the final game in the Witcher series. It utilizes the REDengine3 with Umbra 3 developed by the developer, CD Projekt RED. It features the hero, Geralt, on a quest to eliminate the Wild Hunt and rescue his adoptive daughter. Taking place in an open world that is one of the largest worlds in a game, it includes multiple ecosystems, a day and night cycle, dynamic weather, and roaming NPC’s. 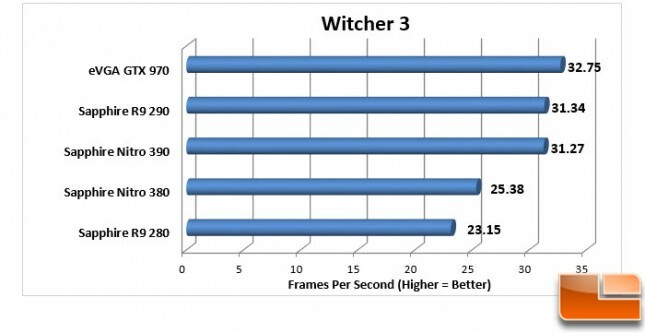 The Witcher 3 is a graphics intensive game we ran on the Ultra setting. As the Witcher 3 does not include an integrated benchmark, we will utilize FRAPS to obtain the FPS. In an open world game, where NPC’s and monsters randomly roam, it can be difficult to get a good idea of the performance. To minimize the randomness, we selected a road near the beginning of the game to run from one point to another. This was done several times to get a good sampling, and the results averaged. 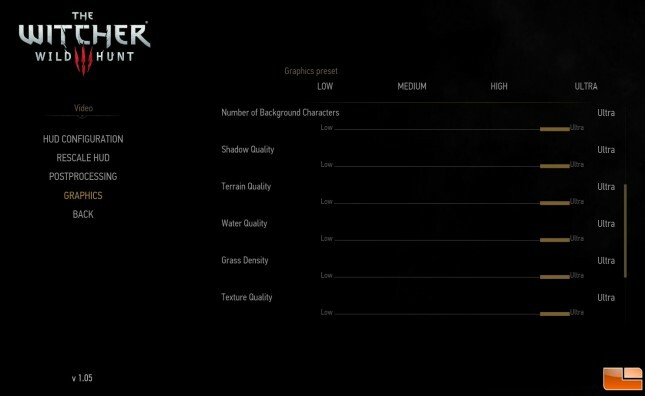 Benchmark Results: Just as you might expect, the 280 and 380 scored rather close, however with a 2 FPS difference. The 290 and 390 received pretty much identical scores.